What is the difference between a meeting and a workshop? 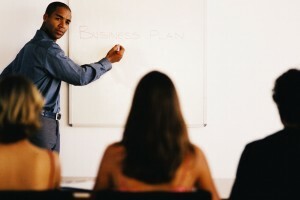 What is the difference between a presentation and a workshop? What is the difference between routing a functional specification for comments/approval and a functional specification workshop?